The gateway to the Western Ghats, Mangalore is the cultural backbone of Karnataka. Experience traditional dance forms, and visit some temples that are held in high esteem. If chilling out is more up your alley, stretch out at one of the well maintained beaches here with some tender coconut water and watch the waves crash. The sun shines for the most part of the day, so watch out for that tan! Foodies unite here at Mangalore to try the coconut based cuisine. Famous for its Mangalore fish curry, other accompaniments include Neer dosa, and the all pervading idly. A Mangalore meal comprises a number of items. Savor each flavorful one, neatly laid out on a Banana leaf. 8th cleanest city in India;Time to visit: September to February;Pay respects at Aloysius Church;Stroll on the Thaneerbhavi Beach;Be sure to try the Mangalore Fish Curry, and Neer Dosa;Buy ivory and sandalwood artifacts;Buy silk sarees and jewelry! Buy silk sarees and jewelry! 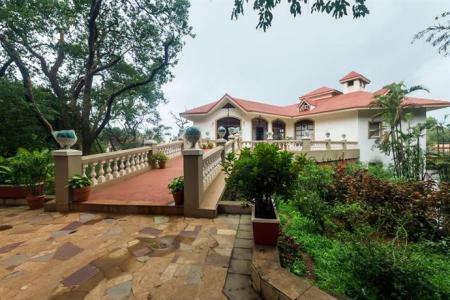 Perched atop a hillock overlooking the quiet flowing Gurupura River, coconut groves and acacia plantations, the Gurupura Nisargadhama Resort is an oasis of calm. 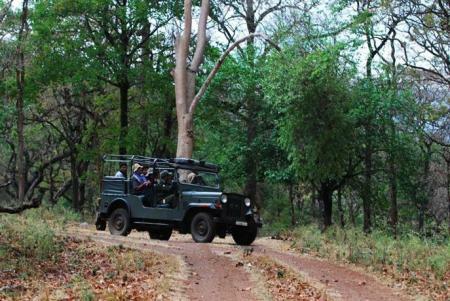 It is a perfect getaway for those who seek to relax and rejuvenate in nature's company. 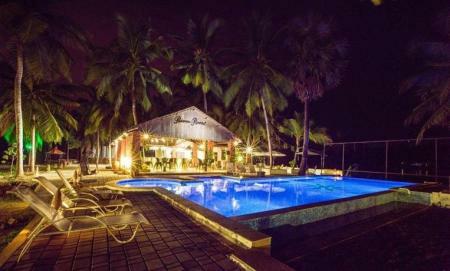 Located at the emerging point of the Gurupura and Nethravathi rivers, The Gateway Hotel of Mangalore redefines luxury. 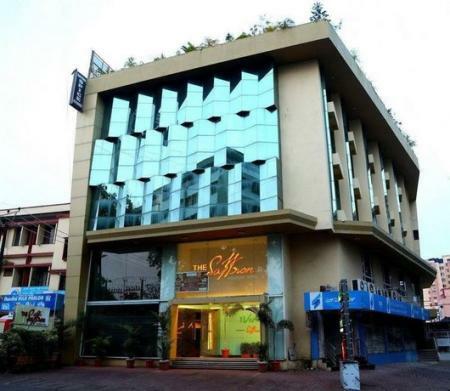 Tastefully designed, spacious rooms overlook the rivers and the Arabian sea and a tranquil atmosphere is felt inside the premises of the hotel. With the best amenities in the city along with excellent service, one feels like they've entered a whole new world. 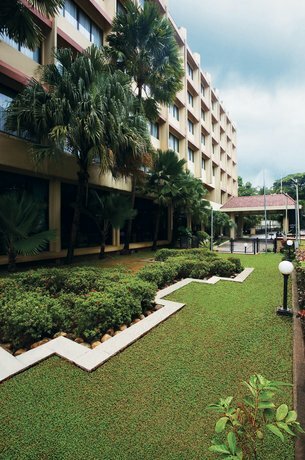 The Gateway Hotel Mangalore is the perfect spot for travelers to sit back and relax. 'Summer Sands' nestles in an arcadia of palms resonating with bird song. A quiet retreat frequented by artists, writers and other creative folk wanting to rejuvenate in a natural habitat. Take a break from the city madness at this seafront resort and enjoy the various amenities including the pool, the massage services and Ayurvedic treatments while you have the beach right in front of you. 15 kms from the city, located on the banks of the river Gurpura and surrounded by coconut and areca plantations, RiverRoost Resorts offers the perfect setting to have a relaxed and laidback getaway! St. Aloysius Church: With its painted wall-fulls of stories about Aloysius Gonzaga, this church, dedicated to him is a popular tourist destination. Take in a breath of peace and quiet within the pristine walls of the St. Aloysius church. Sultan Batheri Jain Temple: Now lying in ruins, this temple is believed to be constructed in the 13th century, and was eventually an ammunition dump for Tipu Sultans Marching armies. An important historical location. Beaches: The beaches at Mangalore are clean, and welcome a swim. 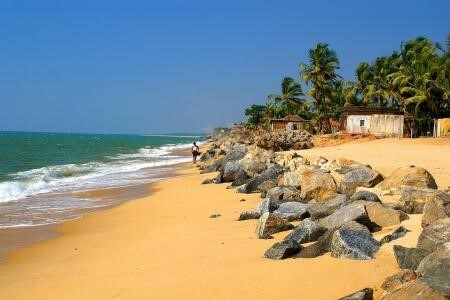 Swaying trees and tender coconut water in hand, the beaches of Mangalore are the place to relax! Unwind as the waves rise and crash against the golden sands. Surf Ashram: This surfing school offers accommodation facilities to provide an authentic Indian experience, including adventure activities other than surfing itself. Yoga, food, and other cultural activities are also offered as part of the stay! Yakshagaana: An indigenous art form, inculcating dance, drama as well as music into a single performance. Conducted frequently around the city, do enquire with your place of stay about timings and fees for the performance! Temples: The Kudtheri Mahamaya, Mangala Devi, Sharavu Ganapathi, and a number of other Temples dot the city of Mangalore. Temple culture is big in this city, and flower and incense hawkers are visible all day. The essence of the culture of this town can be seen in its fascinating and intricate temples. Largely influenced by Udupi cuisine, Mangalore food is generally flavored with coconut, spices and tamarind. Taste the local favorite, Mangalore fish curry, or the more typically South Indian Neer Dosa. Try Kadal or Gajalee for a typical Mangalore meal. Silk Sarees are famous in Mangalore, along with Gold and Silver Jewelry. Ivory and Sandalwood artifacts are also popular here. Climate: A coastal city, Mangalore experiences tropical climate. Since it is mostly hot and humid here, it is best to visit in the winter! Connectivity: A bustling city, mobile connectivity will not cause a problem here. Trivia: Mangalore's port handles 75 per cent of India's coffee exports and the bulk of the nation's cashew exports.